Horace Richard Bowen, age 89, of Union Mills, passed away at his residences with his family by his side on March 25, 2019. Horace proudly served in the United States Navy and was a retired Captain of the Asheville City Fire Department. Horace was a talented artist and enjoyed drawing and painting. His family will remember him as a handyman that could fix just about anything, including the antique and classic cars that he had the pleasure of restoring. A humble man, Horace was loved by all who knew him. Horace was born in Buncombe County on November 22, 1929 to the late Horace Bowen and Kathryn McDowell Bowen. Preceding him in death was Carolyn Trantham Bowen, his wife of 56 years. Horace is survived by his daughter Jolene Bowen of the home and his son Jeffery R. Bowen of Charlotte. A funeral service will be held Thursday, March 28, 2019 at 12:00 p.m. in the chapel of Western Carolina State Veterans Cemetery with Pastor Paul Adelgren officiating. 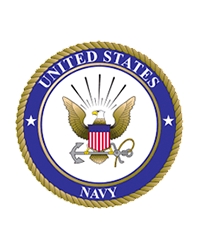 Interment will follow the service with military Honors provided by the United States Navy.